Australian architecture firm Elenberg Fraser just got the green light to build this massive, curving skyscraper inspired by Beyoncé, according to Dezeen Magazine. 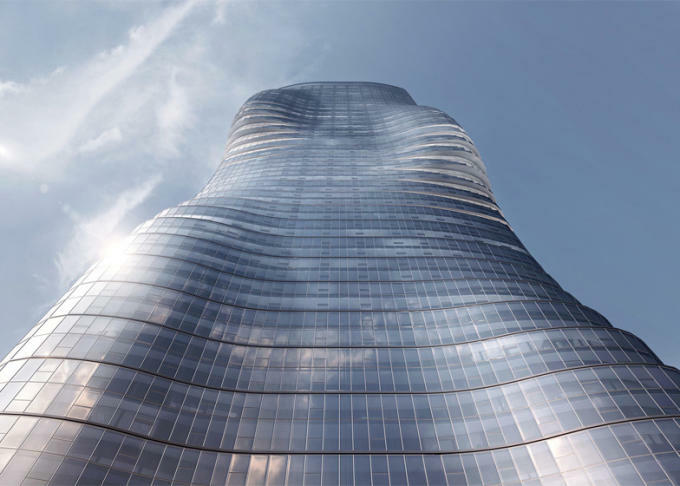 The wave-shaped building, dubbed Premiere Tower, is meant to imitate the flowing capes of fabric worn by Bey and her dancers in the video for "Ghost." "For those more on the art than science side, we will reveal that the form does pay homage to something more aesthetic – we&apos;re going to trust you&apos;ve seen the music video for Beyoncé&apos;s &apos;Ghost,&apos;" the firm said in a statement. In more boring news, the building&apos;s unique shape also improves the building&apos;s structural integrity. The singer has inspired plenty of art over the years, including a hyper-realistic painting, an installation dedicated to her, and a coloring book, but a towering 68-story skyscraper might be the most impressive homage yet. Check out images of the building here and watch the video that inspired it below.